With the increasing demand for affordable Android tablets, Mercury has launched the Mercury mTAB Star M830G with a very low pricing. Mercury has announced the launch of the Mercury mTAB Star M830G, which is the company’s latest affordable Android slate. The device has a 7 inch display with slightly low resolution of 800 x 480 pixels. 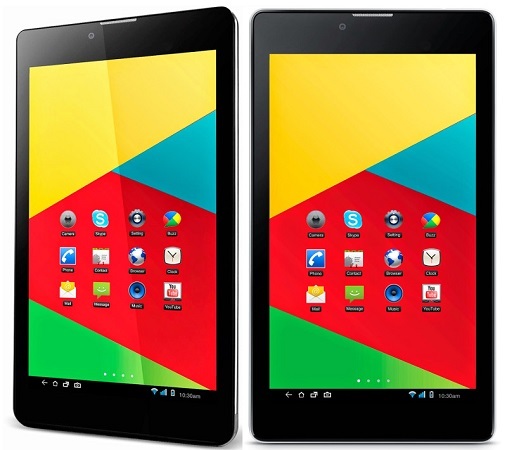 The tablet is powered by a 1.2 GHz dual core processor with 1 GB of RAM and 8 GB of internal storage. The handset has voice calling capability with dual SIM support. The Mercury mTAB Star M830G has a 2 MP rear facing auto focus camera with a LED flash. There is also a front facing VGA camera. The device runs on the Android Jelly Bean version, which can be upgraded to the latest KitKat version, with a 2800 mAh battery. The tablet is priced at Rs. 6999 and comes with a 1 year repair/replacement warranty.